Indie game developers might find this useful. What sort of computers will their games run on? Impossible to tell, sure, but easier to predict if you look at statistics for other games. Valve has been publishing their HW Survey Summary for quite a while but people playing their games could be considered hard-core audience. Let’s see what we can dig up for Devastro. 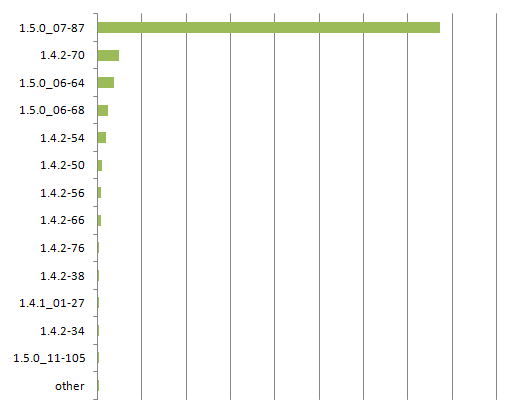 The following data comes from Devastro 1.5 or later so it’s fairly recent. The number of machines this info comes from? 5-digit number, OK? The game has to start successfuly in order to send the stats. 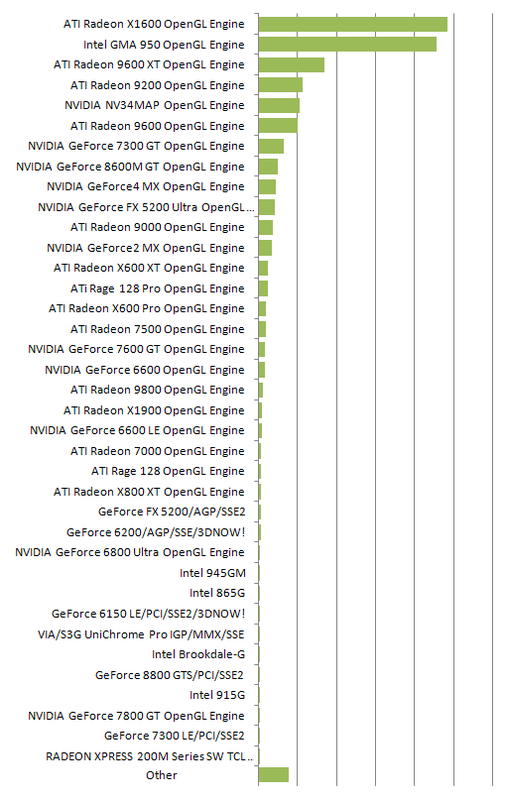 This means that machines without OpenGL support are not included in the charts at all. But hey, it’s all damn lies anyway, right? 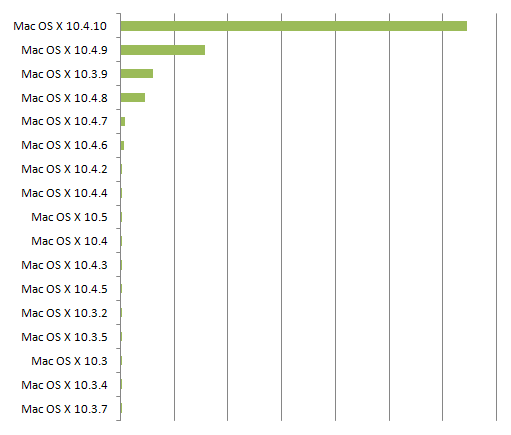 I had never actually checked this before and there were two big surprises for me here – most people [playing the game] already have dual-core CPUs and most Macs already have Java 1.5. Time to ditch Retroweaver and learn to use multithreading?